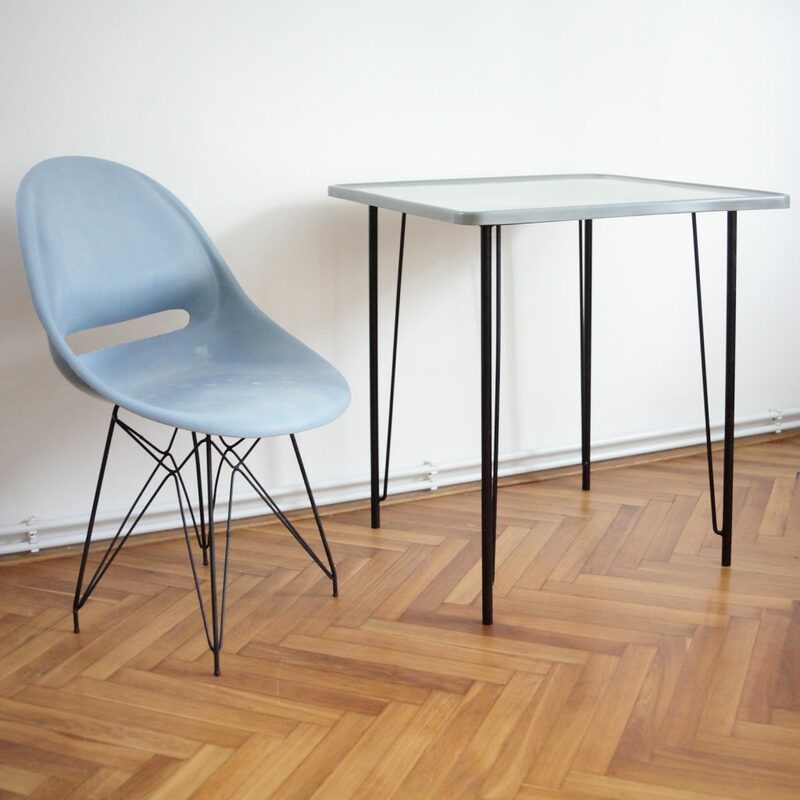 Unique fiberglass laminate set. 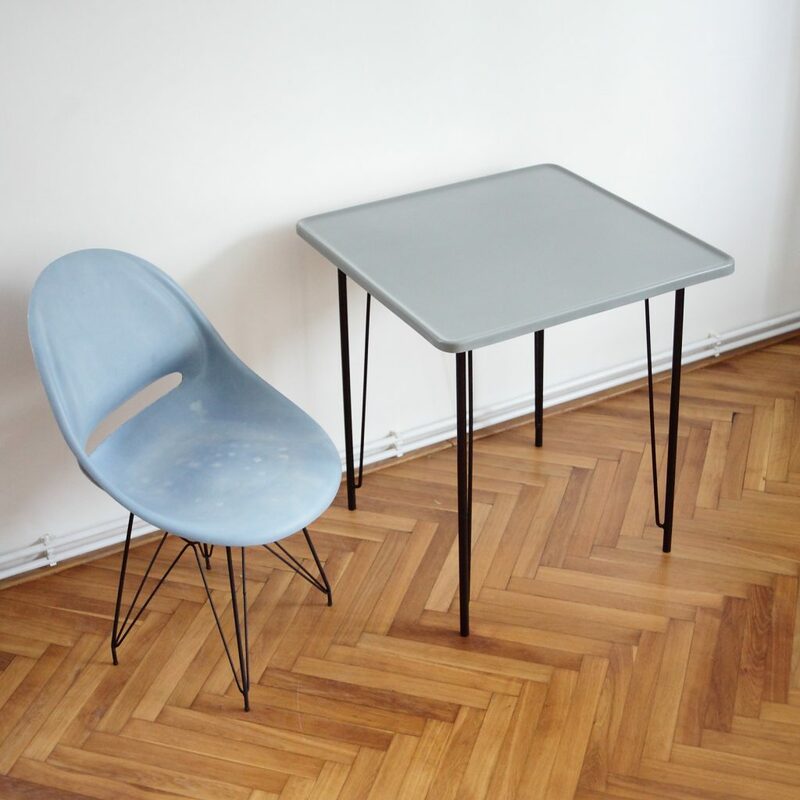 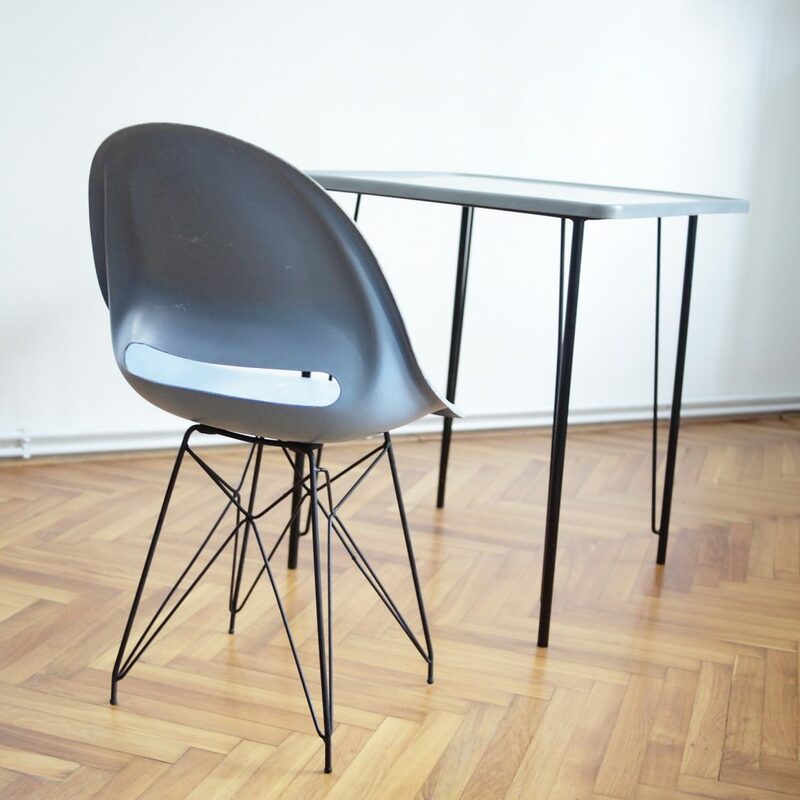 Vertex chair by Miroslav Navratil sometimes appears, but very rarely together with a table! 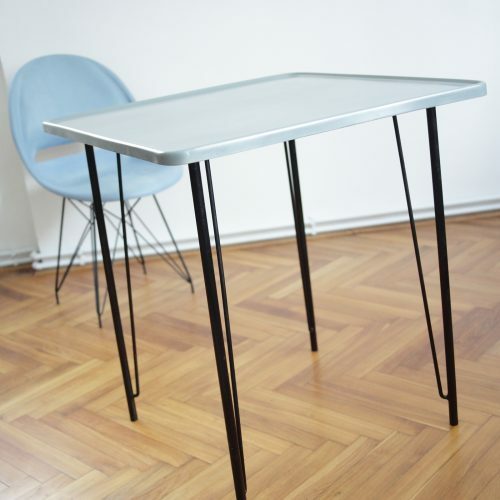 The base of the table is sufficient, minimalist and supertemporal. 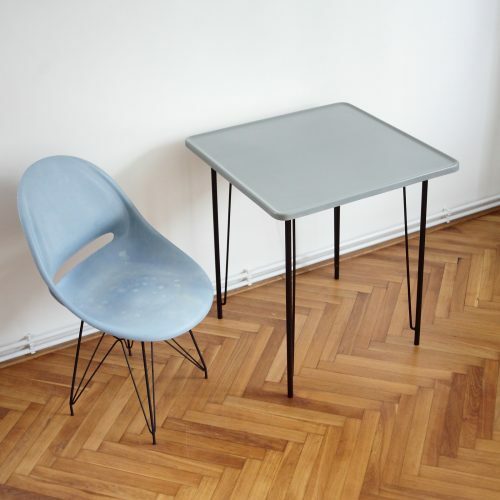 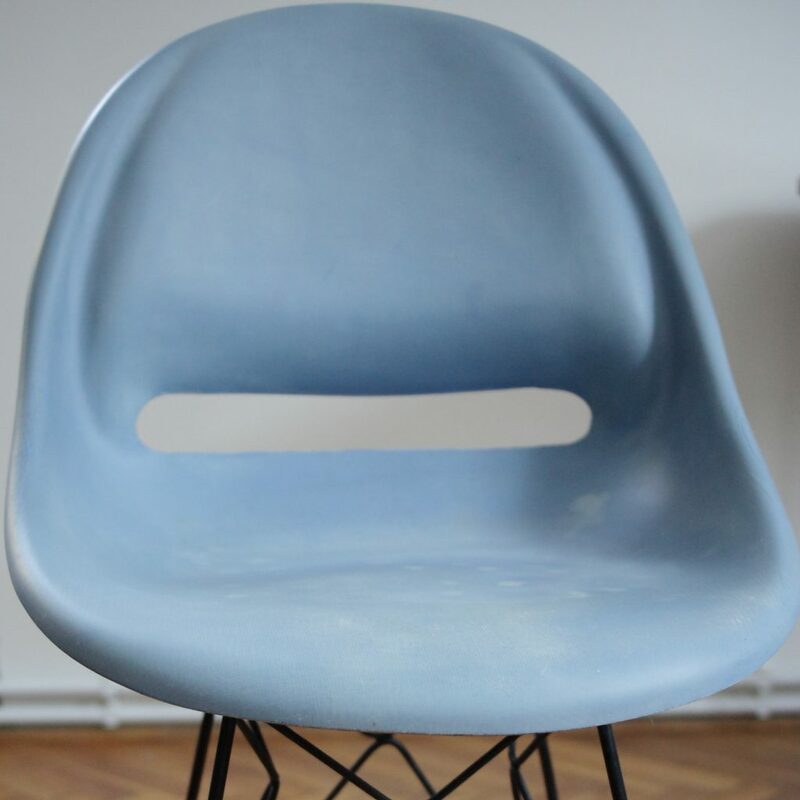 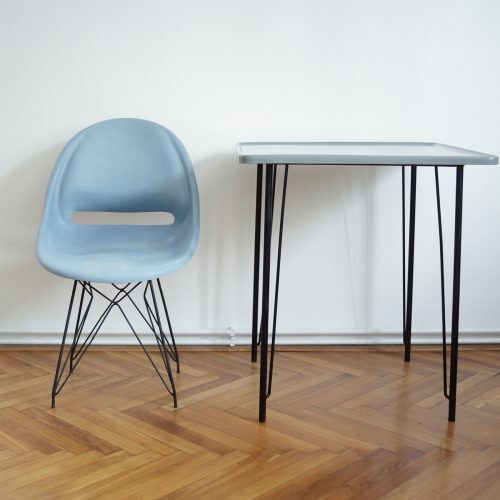 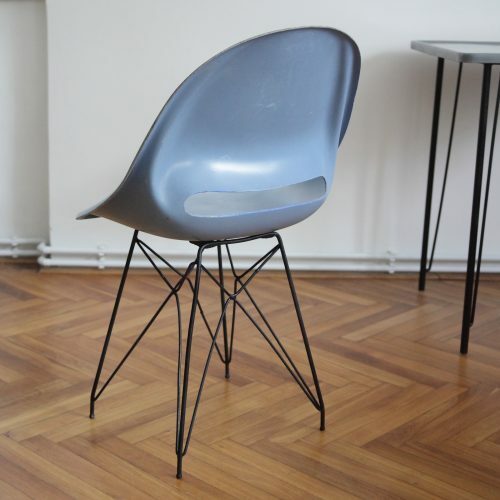 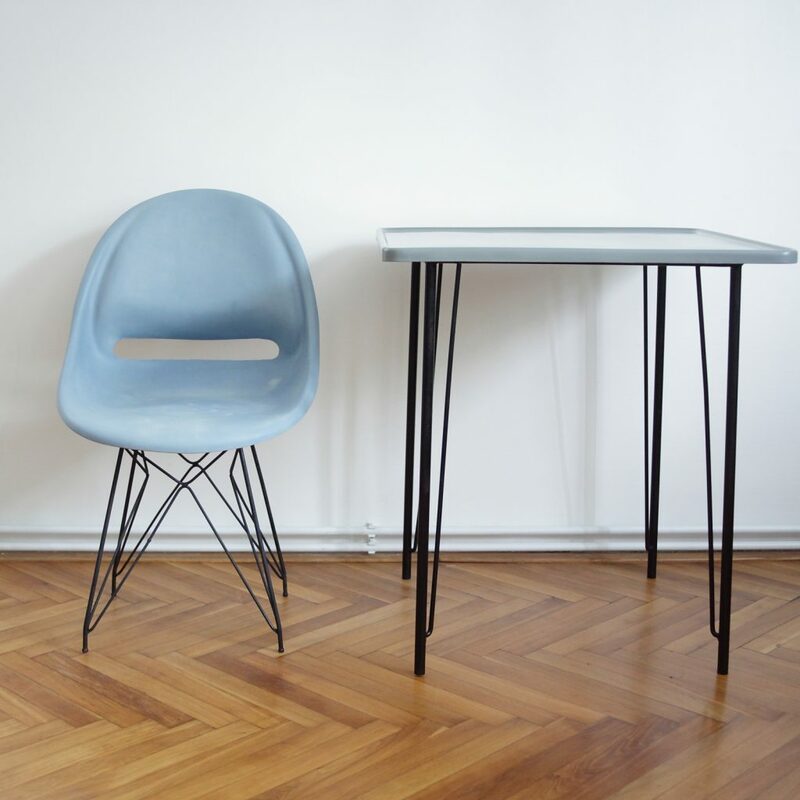 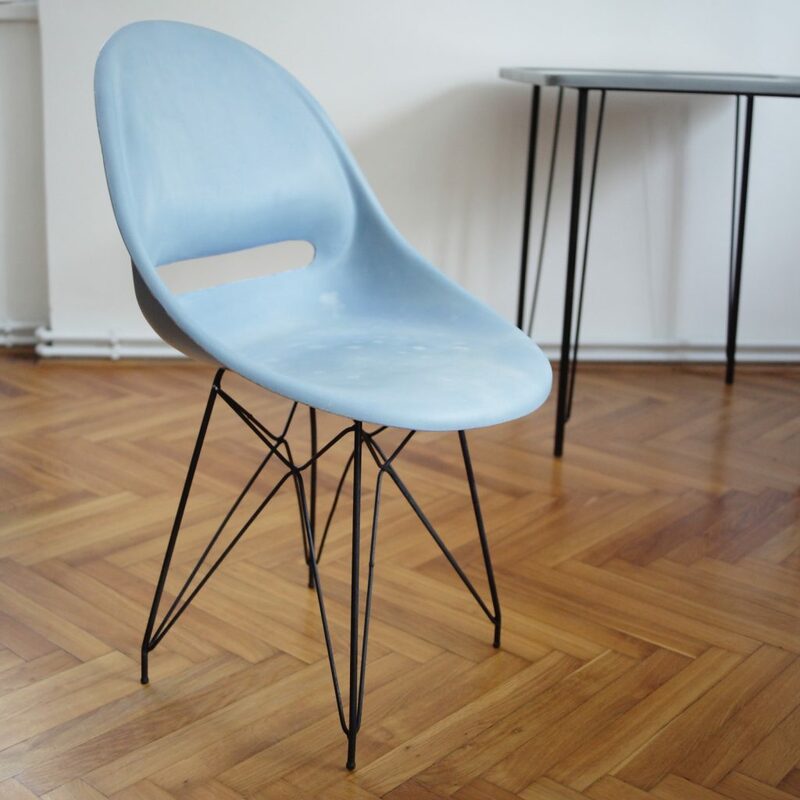 Fiberglass chairs with a metal base designed by Miroslav Navratil for the company Vertex in 1959. Maybe you remember them from the Tatra T3 tram. 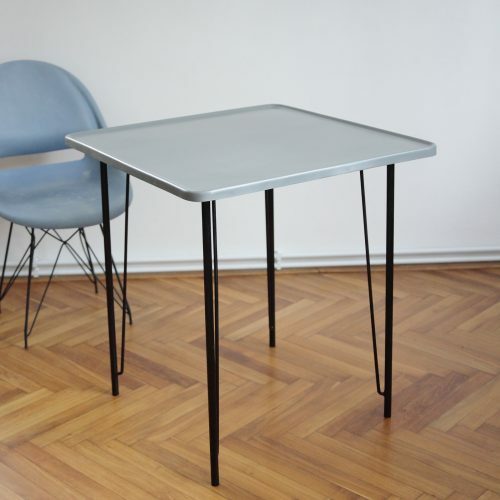 This is a very desirable model that will be appreciated by every admirer of quality design. 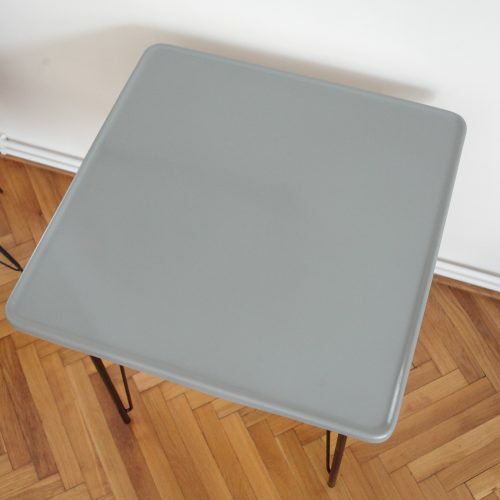 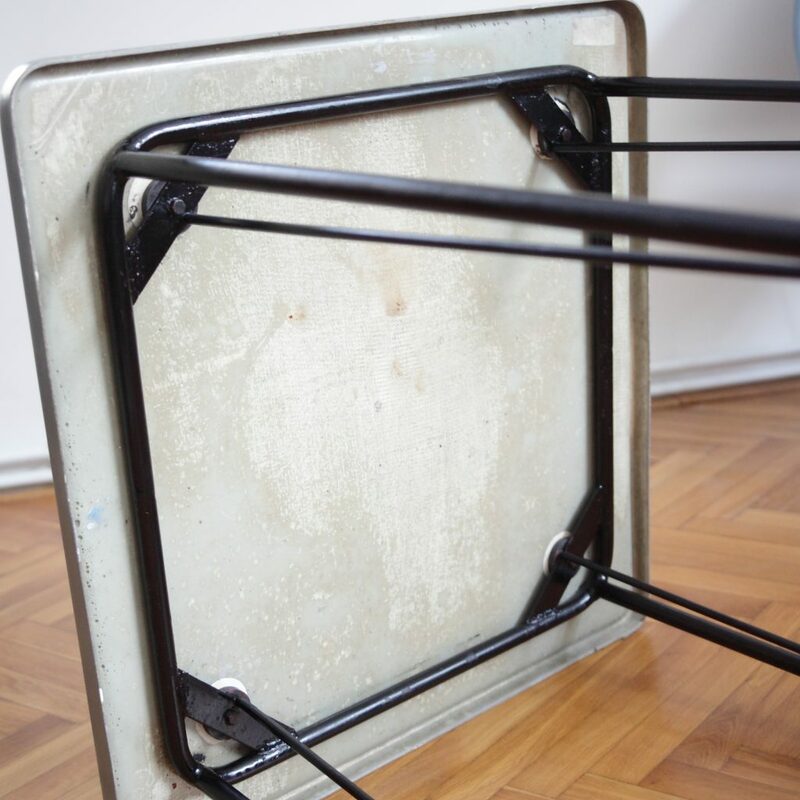 The table is square-shaped 65 × 65 cm and its height is 72 cm. 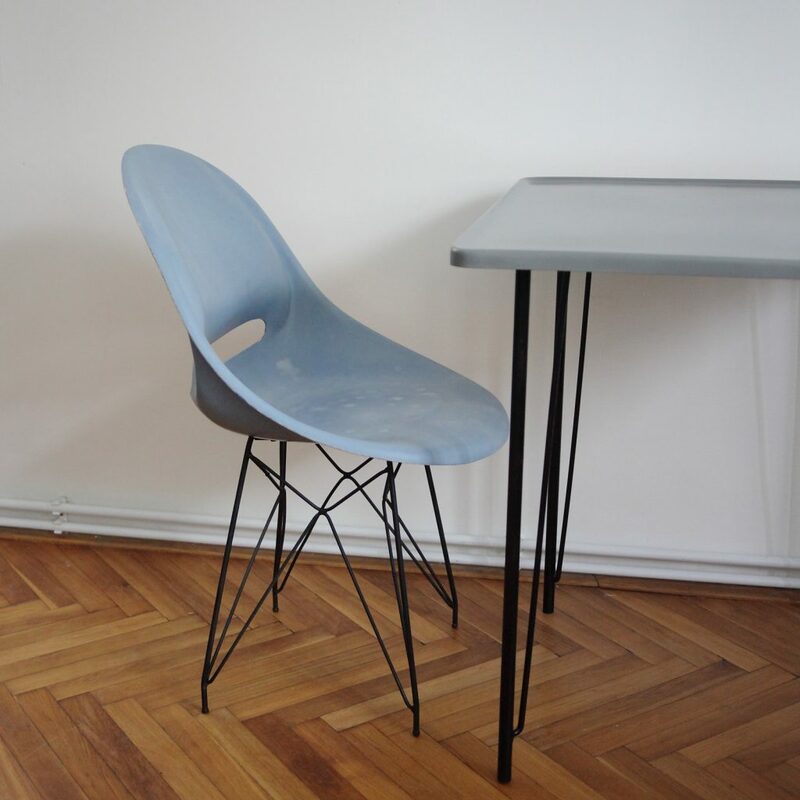 It is after partial renovation and in very good condition. The chair is in original condition with a natural patina. Few imperfection (spots) on the seat. 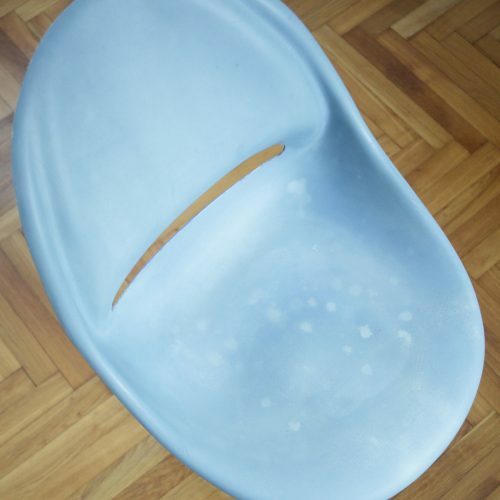 We sell only as a set. However, it is possible to buy two red Vertex chairs, which we also have on offer. 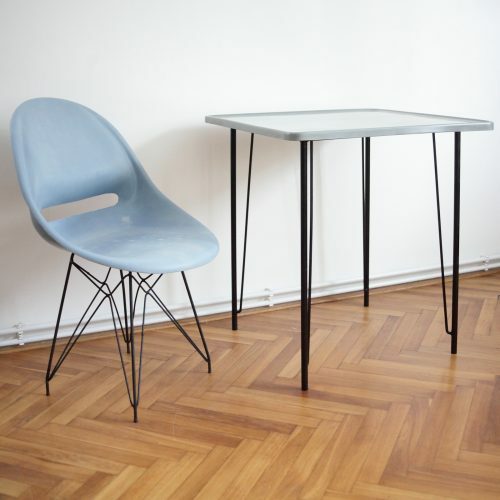 Price per set (table + chair) is 380 Euros.